The haunted house/ghost story style of film has always had its place in horror cinema and there are just about as many of these types of films as there are slasher films – each of them imitating one another and possibly introducing something new. In Haunt every haunted house trope is present and accounted for which is fine but it adds nothing new and lacks one crucial ingredient – it is not scary. Haunt is about - A family (mother, father, 3 children) that moves to a new home, that was the scene of a personal tragedy. Their son Evan meets a mysterious girl Sam that lives close by and together they experiment with an old machine they find in the attic that can be used to communicate with the dead. So from that premise you can almost guess what is going to happen, which is fine because most of these types of films have to follow a certain path especially if you are rolling out the tropes one after the other. 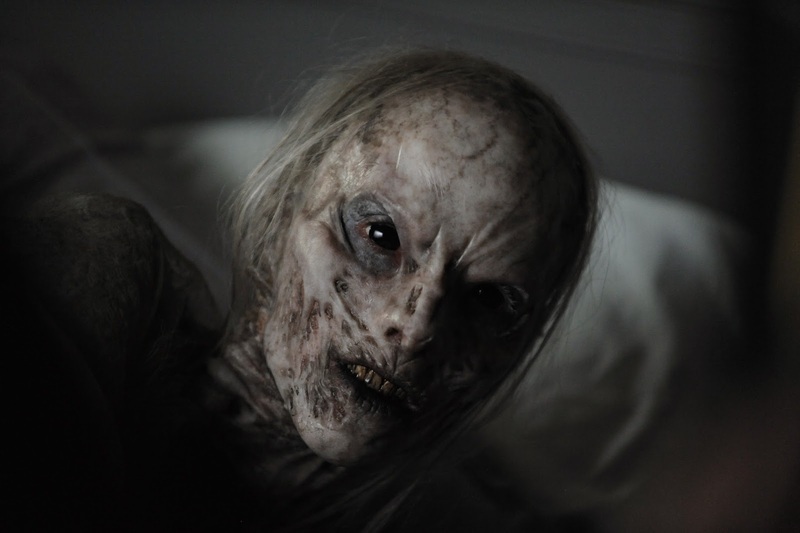 Despite what was written previously Haunt is a well-made film. It is shot beautifully by cinematographer Adam Marsden capturing both inside the house and the outside the house with equal aplomb and overall the film looks stunning. Mac Carter directs the film skilfully and you wouldn’t even know it was a first feature he manages to get a lot out of the slow tracking shots and manages to make the viewer strain their eyes in case there is some subtle movement in the background. The acting by main players is actually quite good with Sam (Liana Leberato) and Evan (Harrison Gilbertson) making a nice teenage couple. Jacki Weaver veers a little into over-the-top territory but is still (as always) great to watch. Unfortunately no one else is given a whole lot to do. The rest of the cast is sketched out but never fully coloured in. The writing is a touch uneven with some good exchanges between the two leads but the parents and families reaction to what is going seemed very contrived. The film gives you a prologue in which you get half an idea of what has happened but there are a few unexplained things which don’t get resolved by the time the credits roll around. The box used to contact the dead, it is never really explained what it is and how it works, which would have or could have been cool thing to include. As unexplained as the box is, it is a very cool plot device unfortunately it takes nearly an hour before it is rediscovered and used again. The slow burn and the atmospheric style of film are great and it is done well here but there seemed to be too much slow burn which in turn made the final 15 minutes seem over cooked. In an effort not to spoil anything – someone is also possibly a ghost but once again this is not fully realised or sorted out, something that really could’ve been played with but it was wasted or ignored. 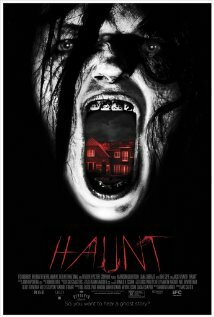 Haunt is well made, has some good performances and is directed in solid but not spectacular fashion. However for a scary film the scares were thin on the ground. The only really scary thing was right at the end of the film, whilst the rest of the scares were VERY cheap jump scares but if you like your slow burn ghost stories then you should give Haunt a look. The box was probably a copy of the one Thomas Edison was working on to contact the spirit world.